The spiritual center of the Catholic Church, the Vatican City hold a wealth of historical, cultural and religious significance. After Constantine legalized Christianity, he commissioned the building of the first St. Peter’s Basilica between 326 and 333 A.D. The current basilica replaced that original one back during the 1500s, although parts of the original still linger under the church in the Necropolis. 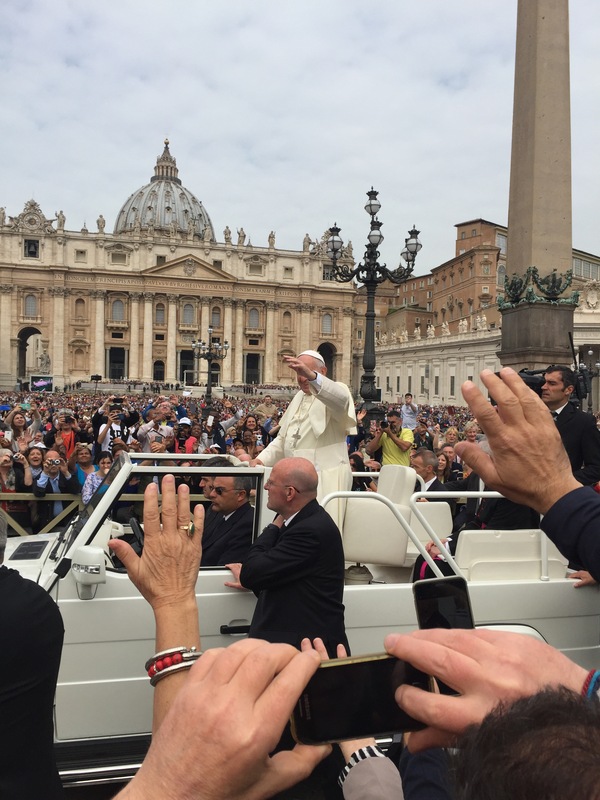 Catholic or not, if you make it to the Vatican, you might as well try to see the Pope. 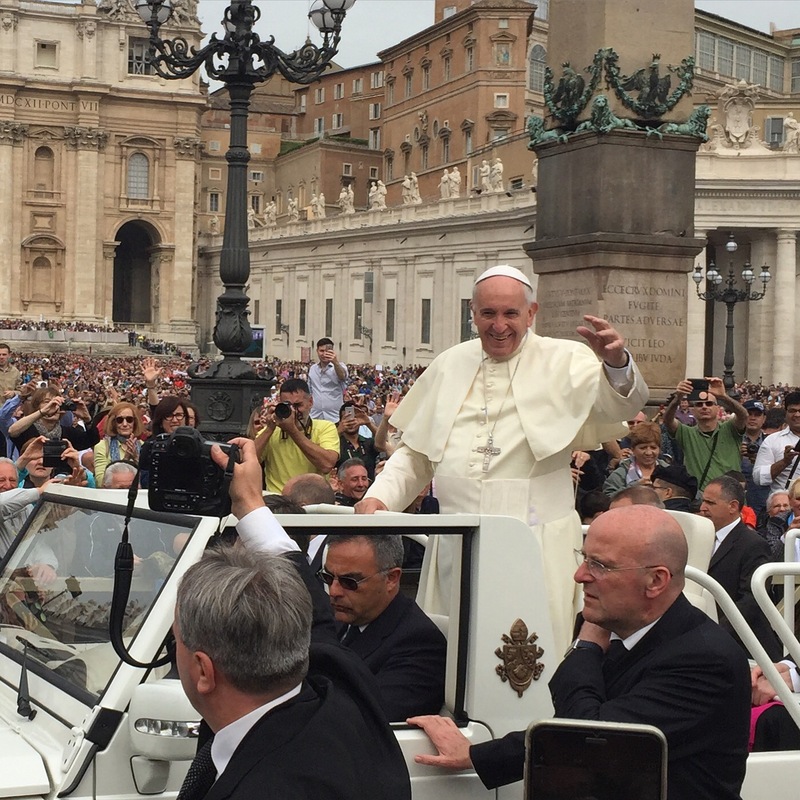 He addresses (and blesses) the crowd every Wednesday (admission is free) from the steps of St. Peter’s. A word of advice: if you can bear standing for an hour+, the best spot to actually see him isn’t in the chairs. During the blessing he’ll still be pretty far away, even if you manage to sit in the front row. Instead, try to stand directly behind the barrier behind the chairs. He’ll end up driving close to this spot in his cart. When we were there, I was probably only six feet or so from him at one point. Nobody in the chairs was nearly that close. If you go to the Vatican, I highly recommend a tour of the Necropolis under the complex. This winding tour takes you through a partially-excavated early Roman cemetery, through part of the foundation for the original Basilica, and finally to what may be the resting place for St. Peter’s bones. What I hadn’t realized before the tour is that the Catholic Church doesn’t actually take a firm stand on whether or not the bones are definitely those of Peter. Rather, they acknowledge the grave as Peter’s and merely state that the bones could very well be his. Apparently this is a point of contention among those involved in excavating the Necropolis and the tomb. The bones rest in the remains of a marble shrine that predates the original basilica by some time. This shrine was located not far from the ancient Circus of Nero where, according to tradition, Peter was crucified upside down. It was this shrine that led to Constantine picking this spot to authorize the building of that original official church. Basilica of San Clemente than it did with either set of catacombs, in that it was originally built above ground and then filled in with dirt to make room for future building projects.